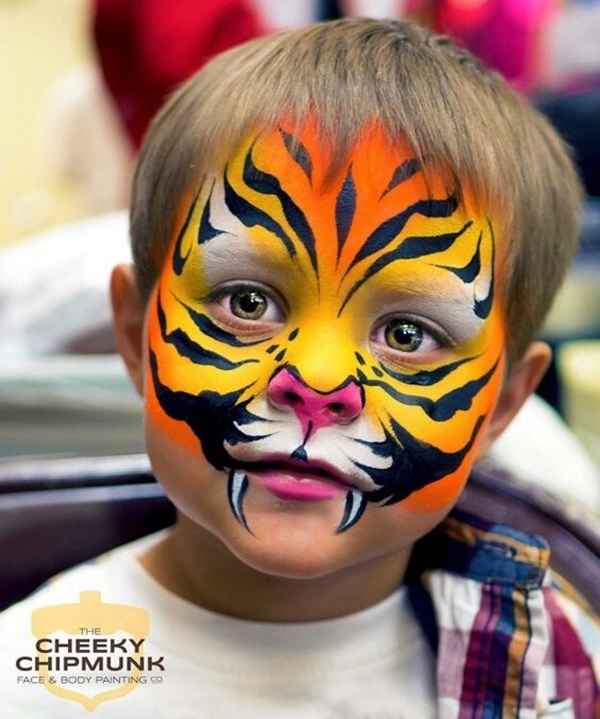 Face painting is a fun way to bring out your artistic side. 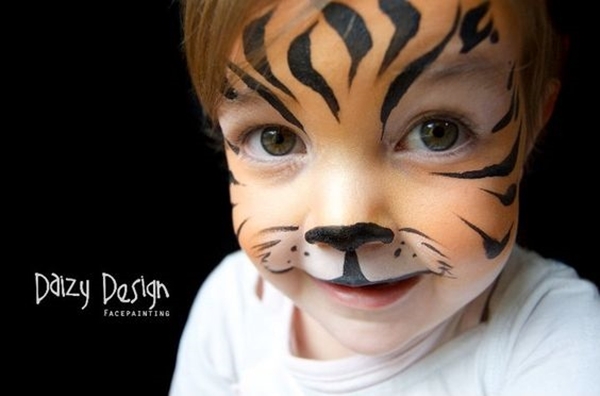 All you need is a friendly face you can use as a canvas. 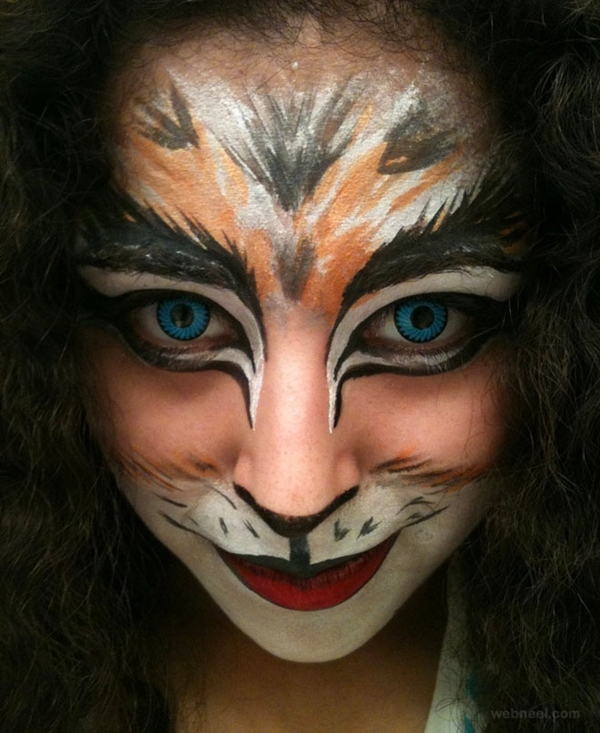 Stop staring at the costume party invitation and put on your creativity hat. 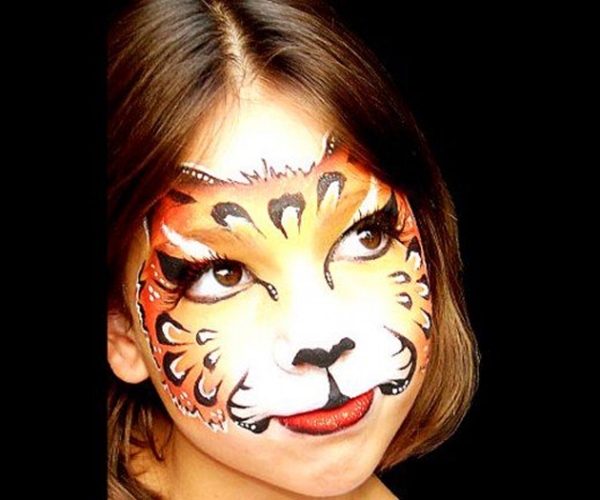 Face painting is an inexpensive way to do something different and be different. 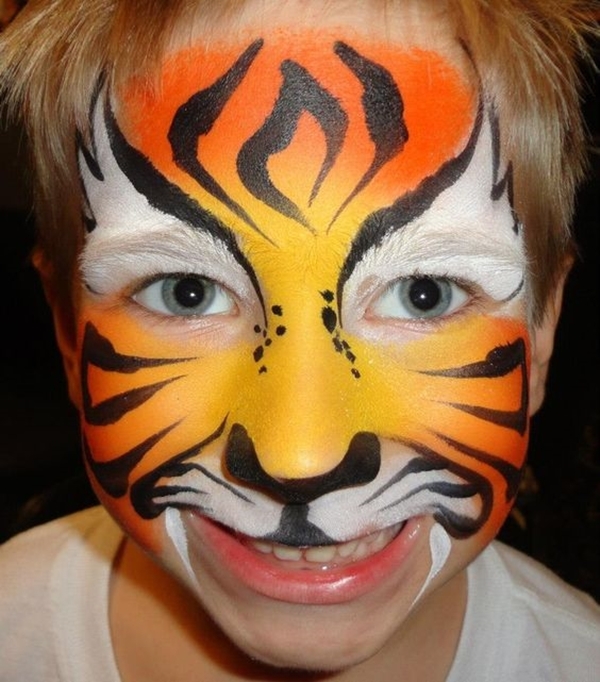 If you love to paint then grab your brush and paint colors and check out these Easy Tiger Face Painting Ideas for Fun. 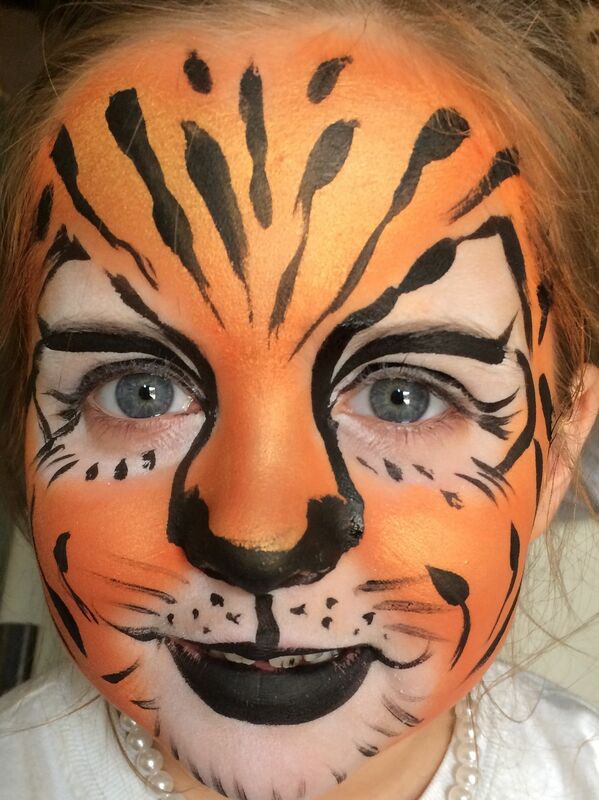 If this is your first time trying your hand at tiger face painting, start with the outline. 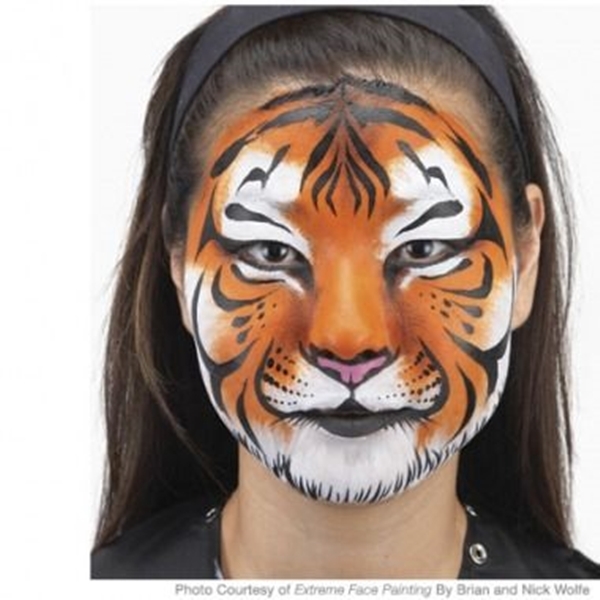 You don’t actually need to draw the entire tiger face. 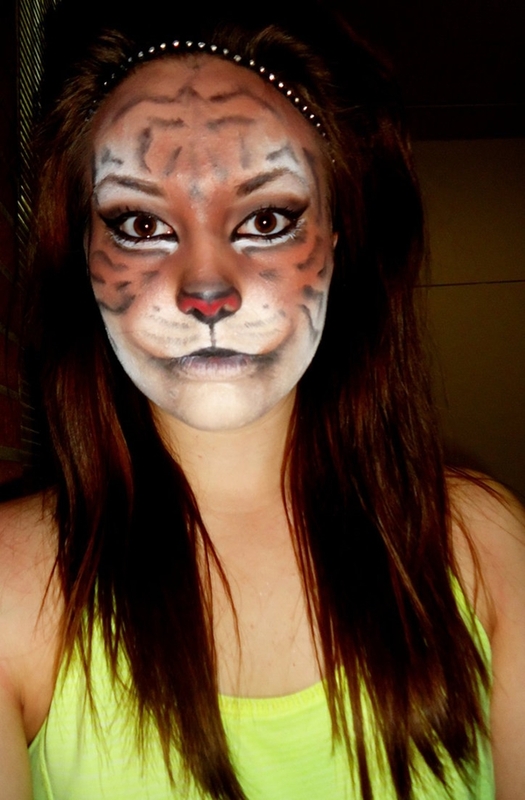 Just make white spots on your eyelids, nostrils and chin area. 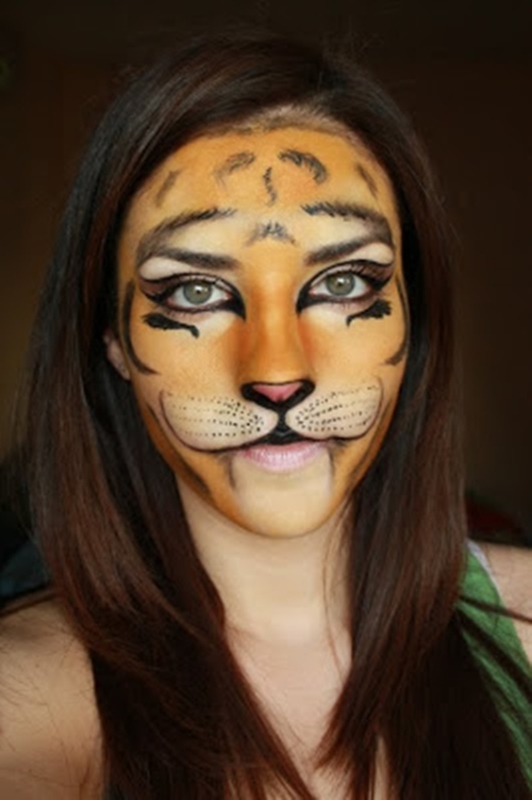 Add a coat of orange and brown color over white. 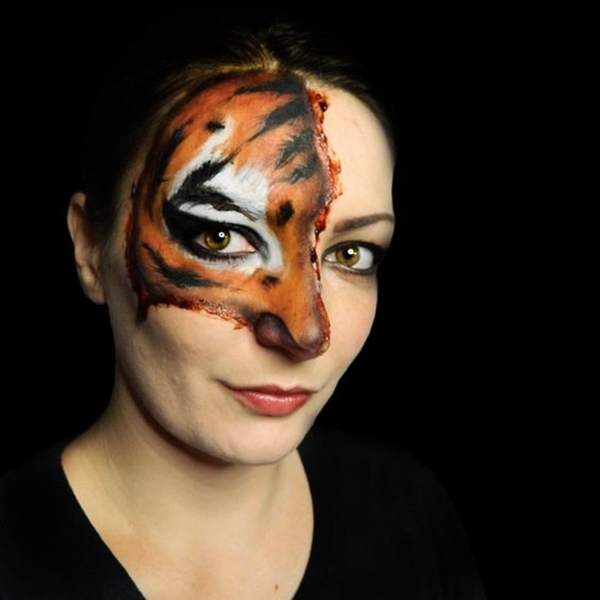 Use a thick brush to paint the outlines. This way you can wear normal clothes and still look like you have made an effort. 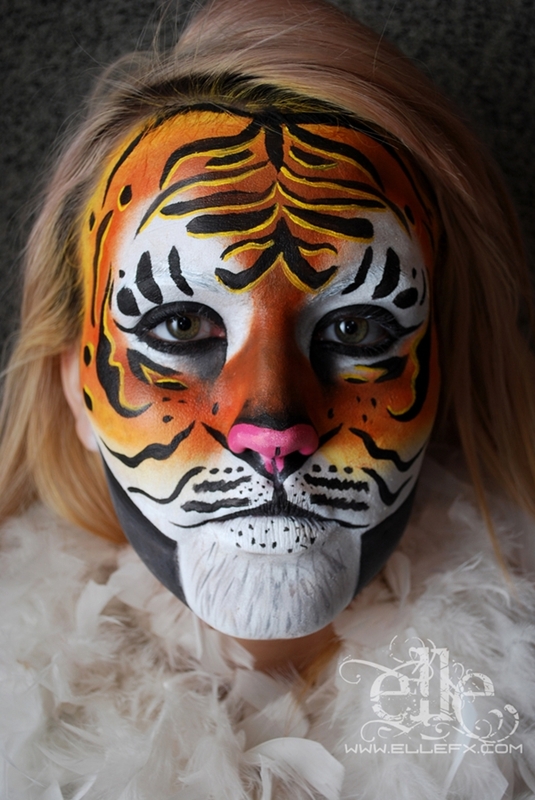 People will take a second look at your face before asking you, ‘Where did you get that pretty tattoo from?’ And, you’ll be able to say proudly, ‘I made it myself.’ Use both thick and thin paint brush and black and orange paint. 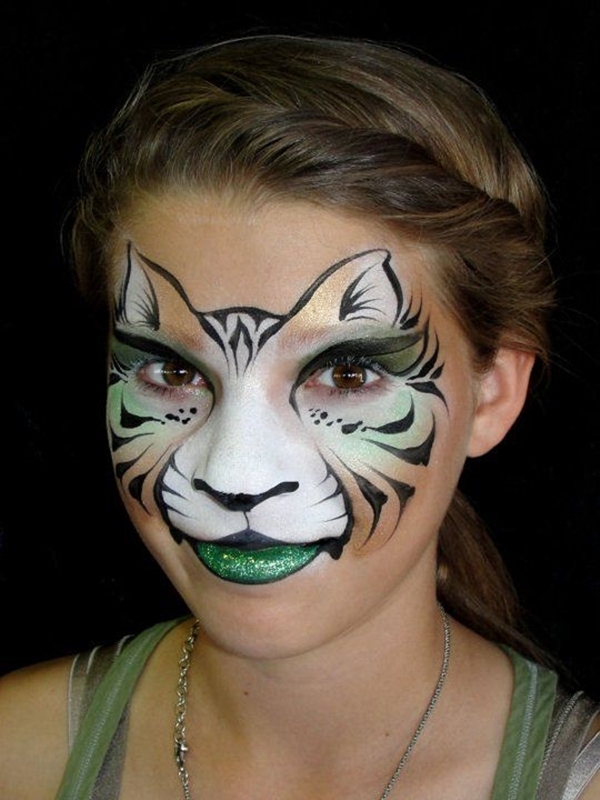 Choose a specific area on your face such as your eye to paint. 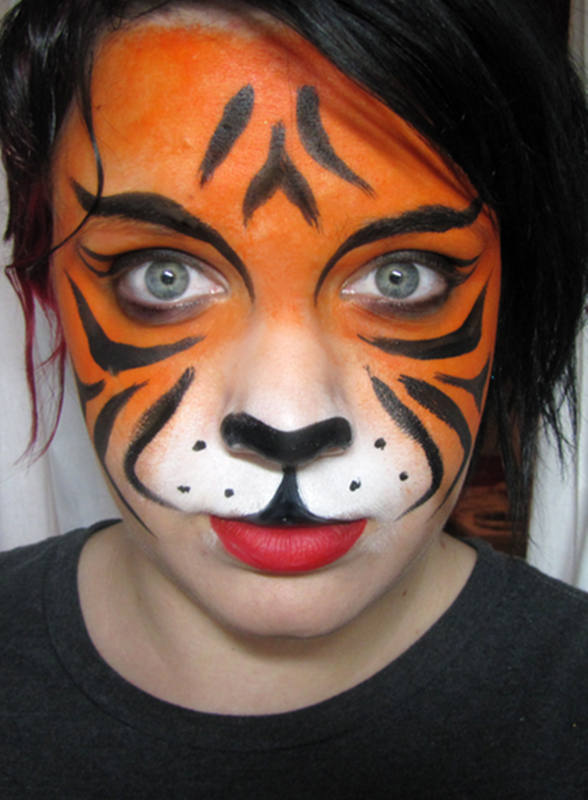 Use an orange eyeshadow and glitter. 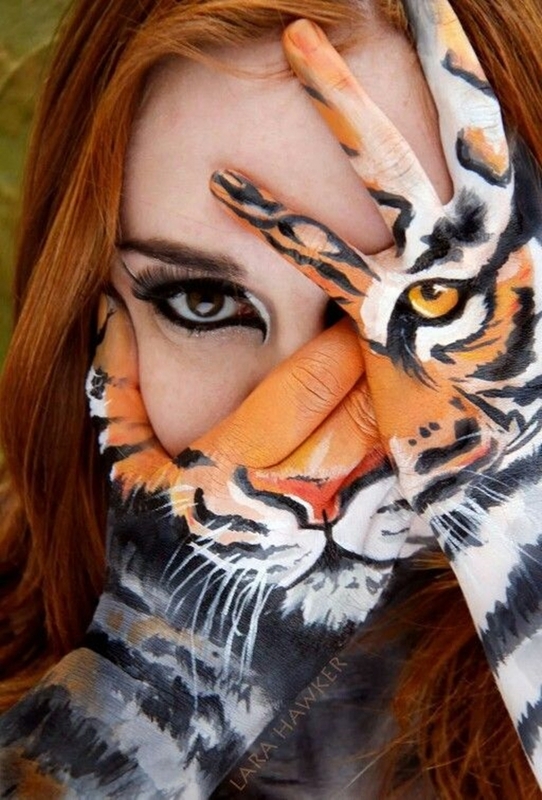 Draw petals sprouting out of your eyes and paint them black and use orange to fill in. 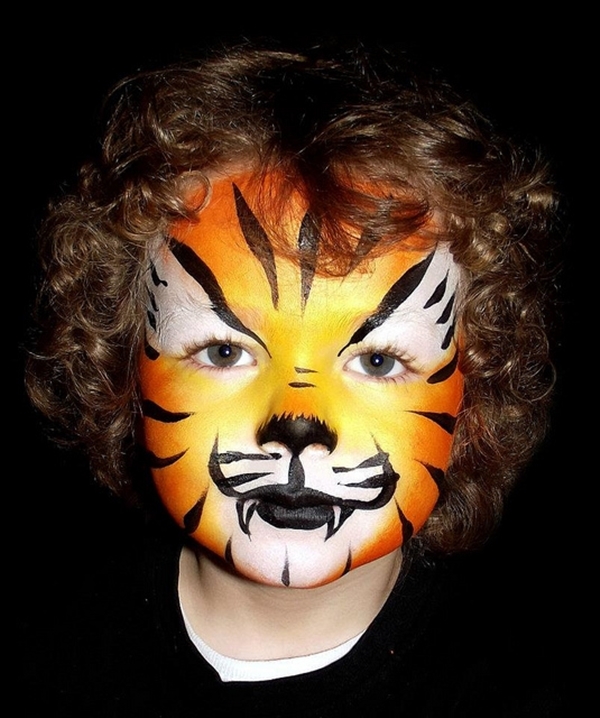 Give an entirely new look to your tiger face painting by ditching the traditional black and orange color. 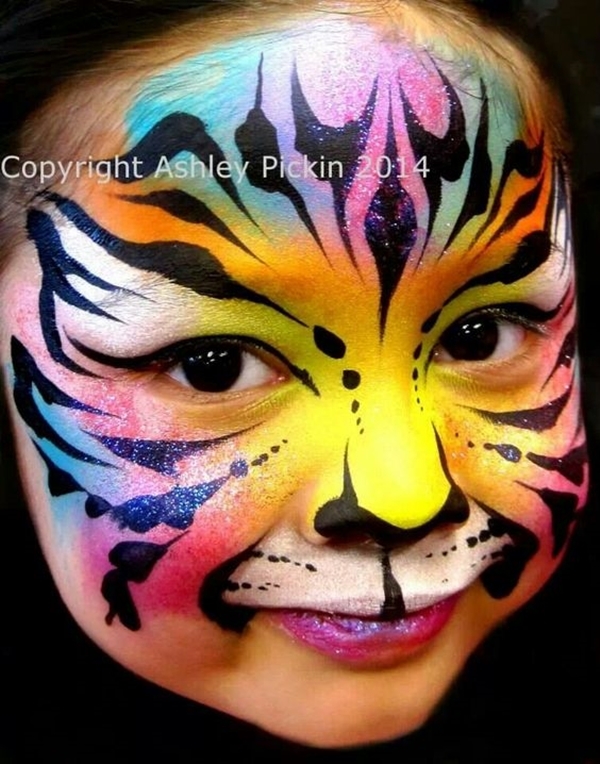 You can use different color combinations such as green and blue, pink and white, or yellow and green. 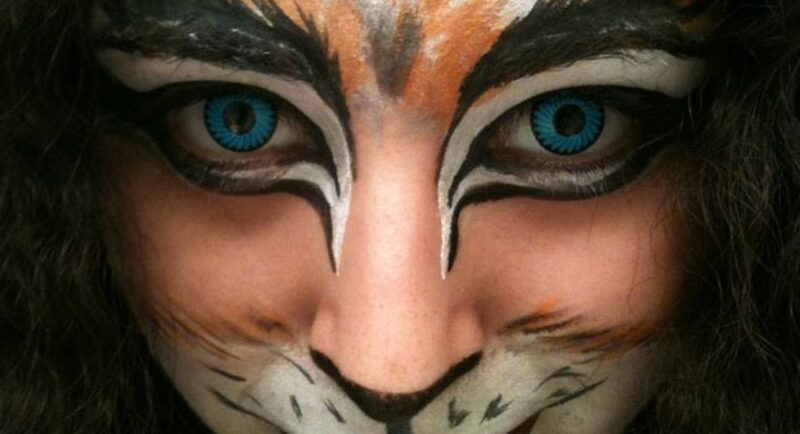 The black outline of eyes and nose stays the same. 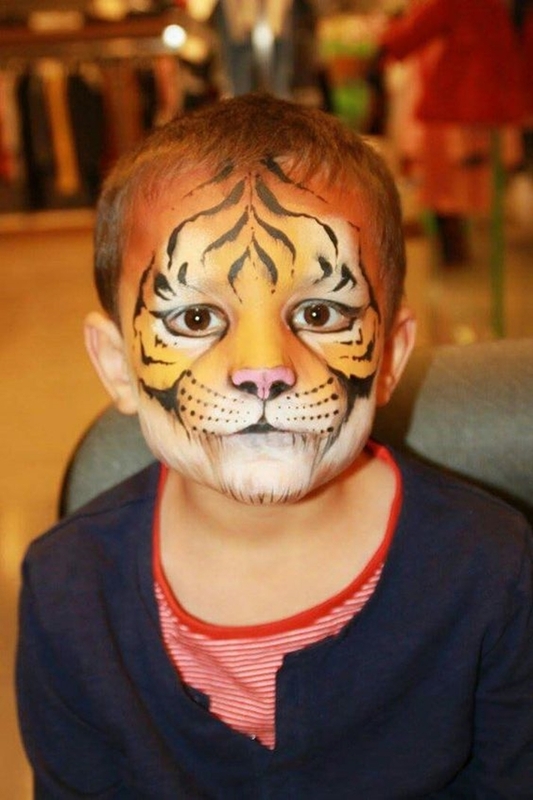 Extend your tiger face painting by drawing black tiger scales starting from your face and reaching down towards the back of your neck or front slightly reaching towards your shoulders. 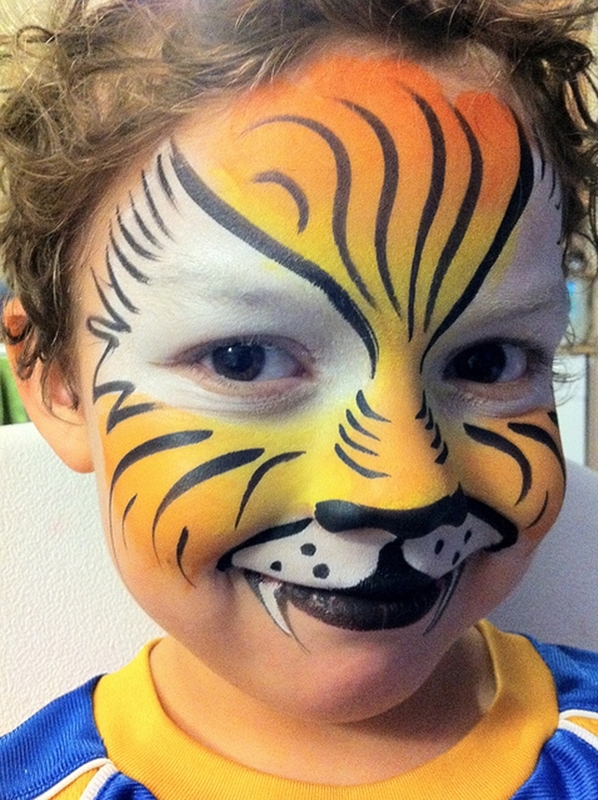 Celebrate tiger face painting day. 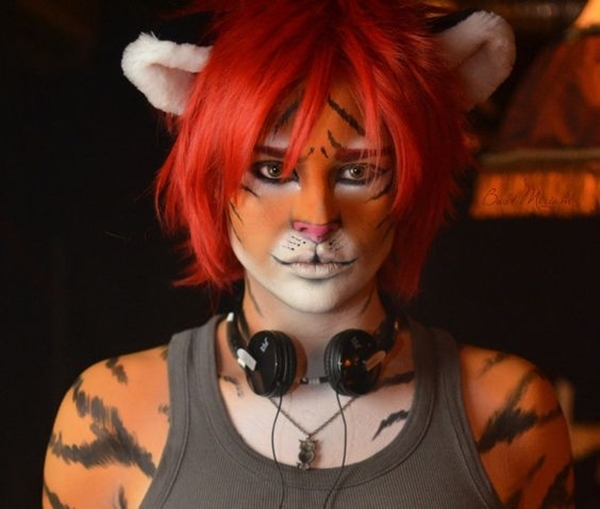 You’ll be able to stand out quite literally. 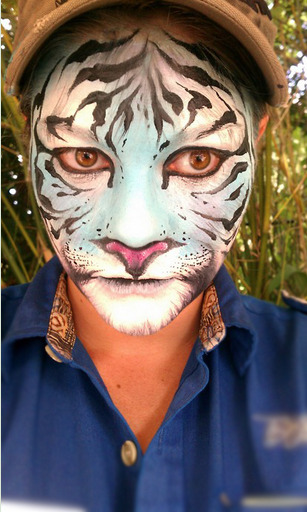 Challenge yourself and go a level up by painting your entire face. 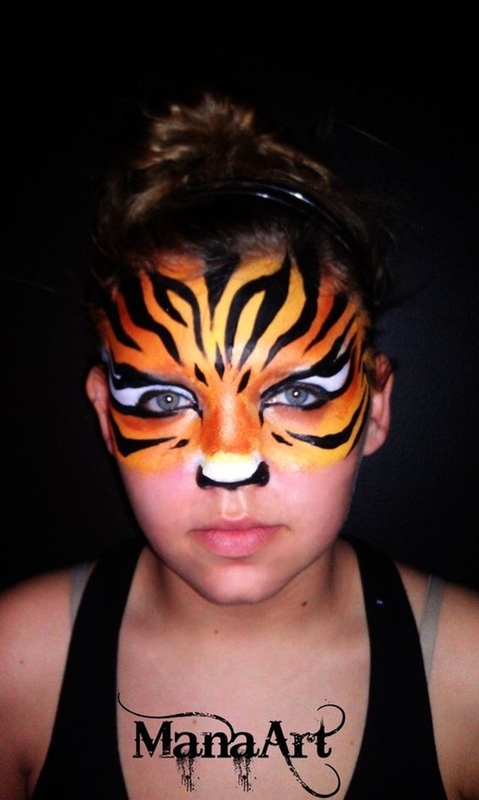 Use orange color as the background, then smear white paint all over your face as the base. Make sure it’s even. 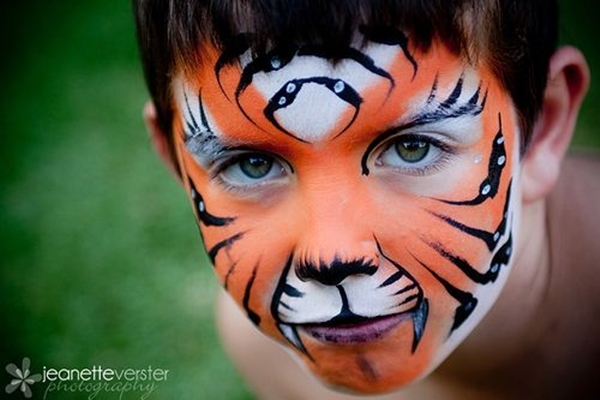 Lastly, use black paint to get the roaring look. The hair and eye part is the soul of your design. 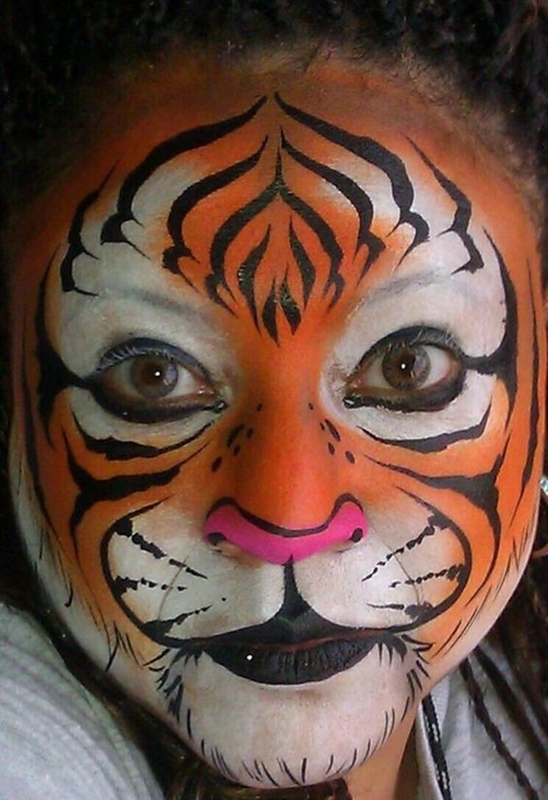 Be careful, you don’t want to look like a face design gone wrong. 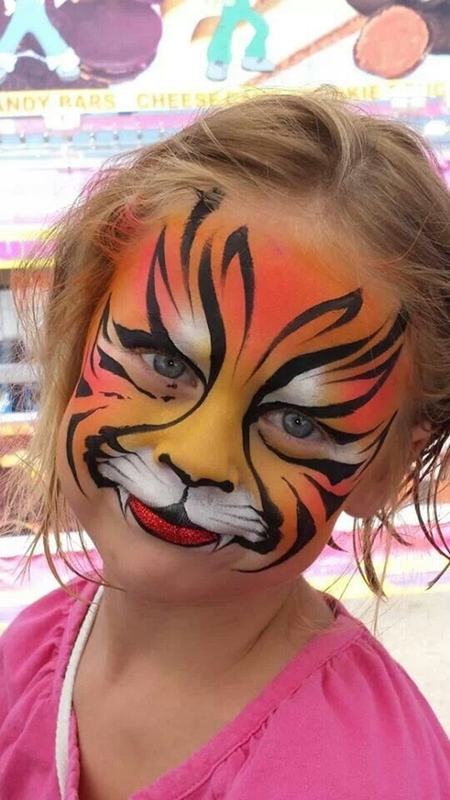 If you have tried and failed to get the perfect tiger face painting look, use props. They’ll do your job for you. 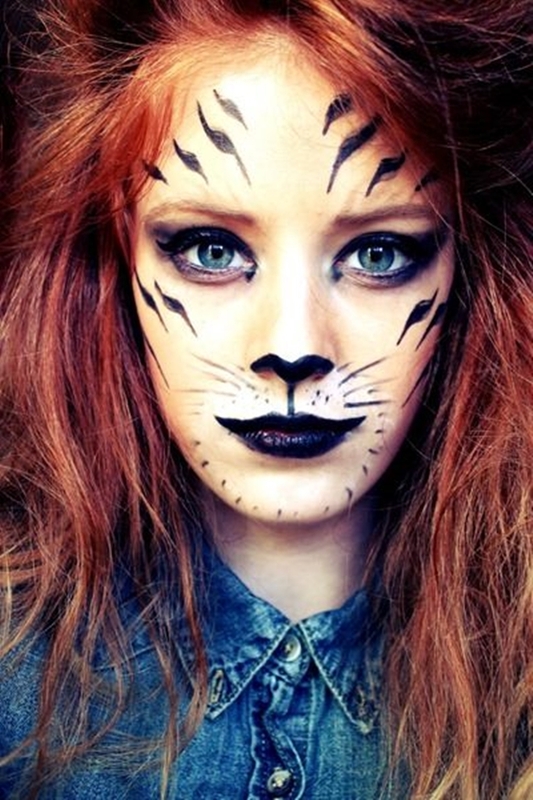 Put on a pair of tiger ears, paint your lips black or orange, use eyeliner to cover the eyes and get ready to roar. To get an easy tiger face painting look, use makeup. 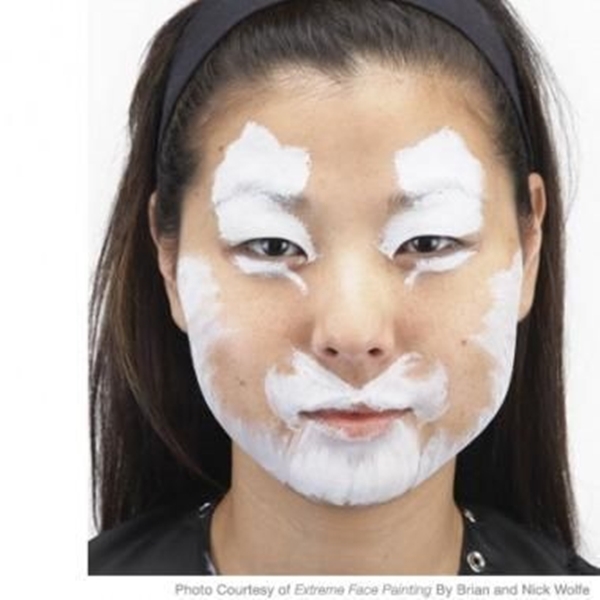 Use foundation to get an even skin tone. 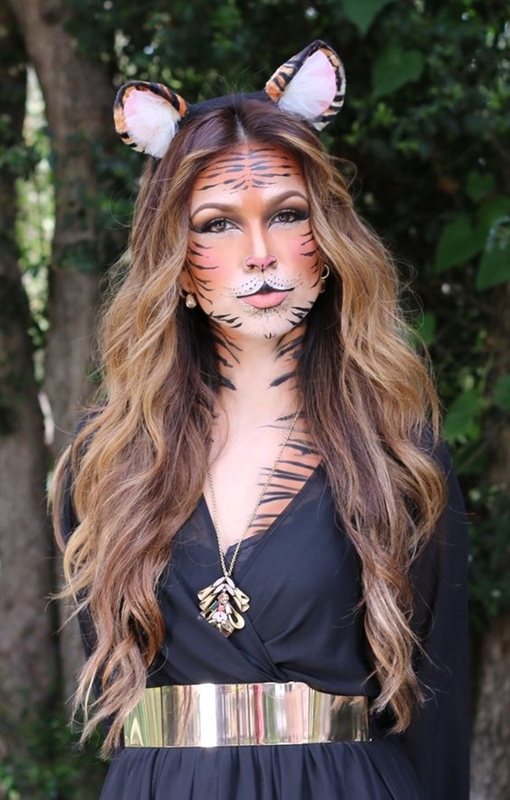 Wear a dark color lipstick and black liner to draw horizontal lines on your cheeks and eyelids. 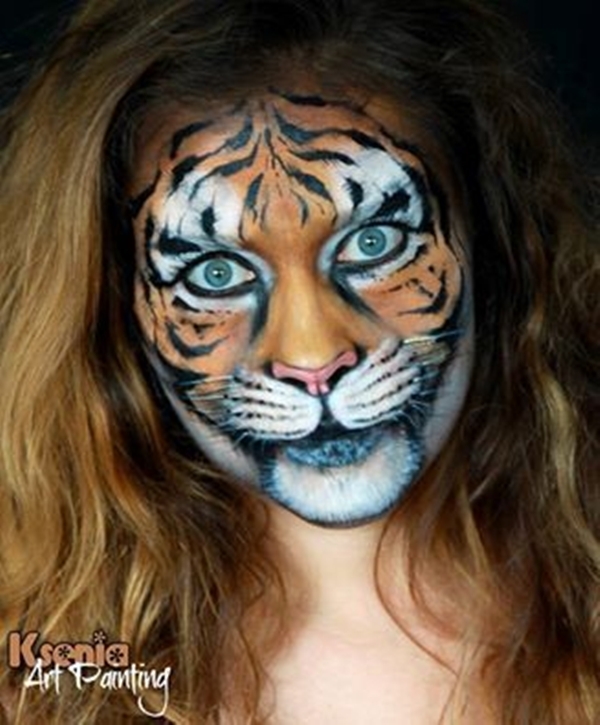 Just like you apply makeup, this time draw makeup on your face and you are ready to pounce. Don the avatar of a tiger by painting only one side of your face. 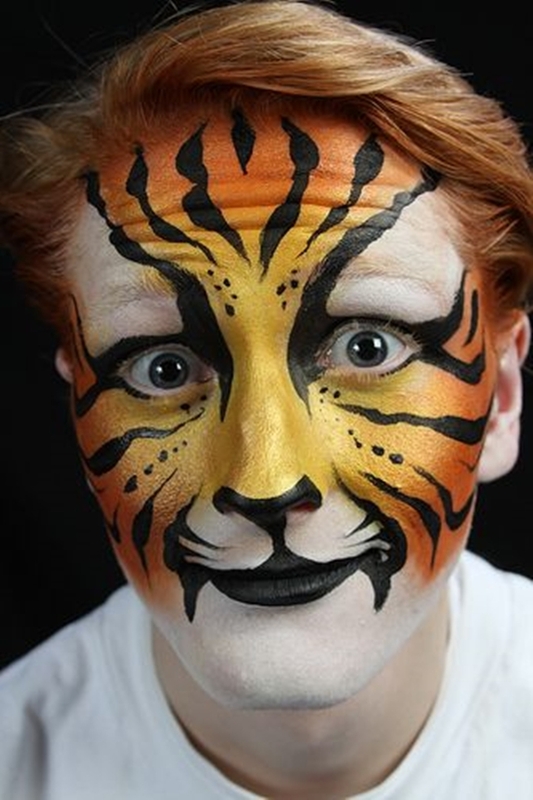 Use black paint to draw thick and thin circles on the left or right side of your face including near your eyes. Paint the black circles with brown. 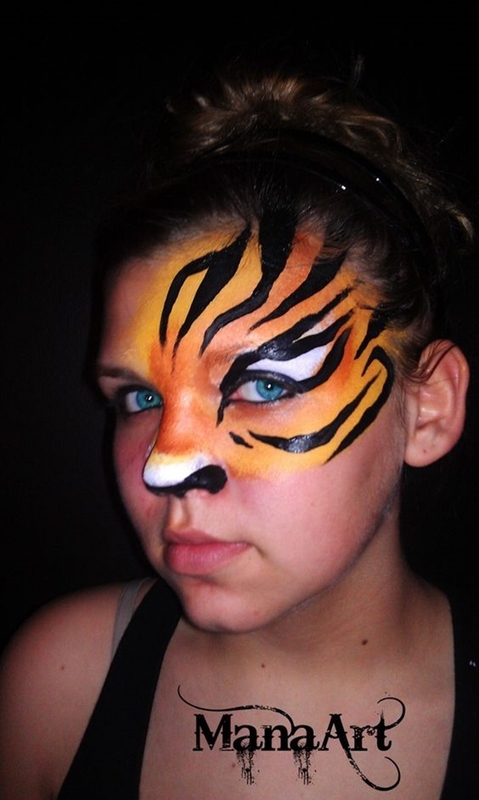 Paint the lower side of your nose with black color. 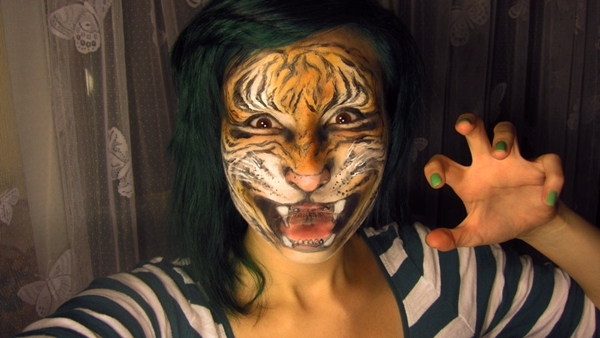 You can also paint your lips half black and half brown to get even. 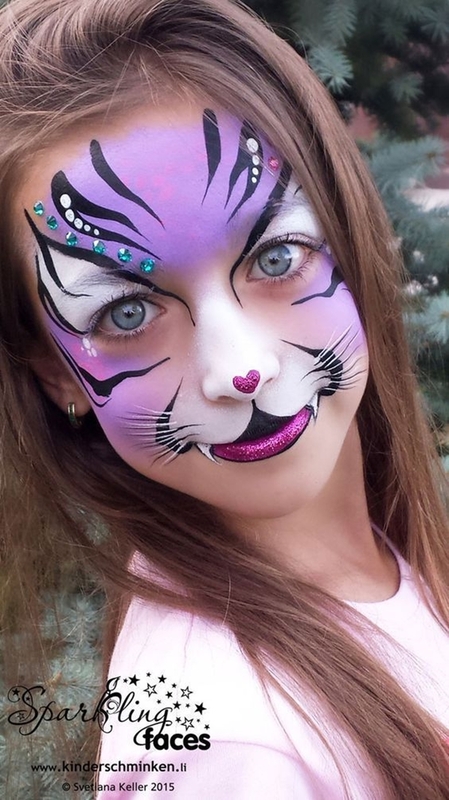 Make your face a rainbow by using as many colors as you can. 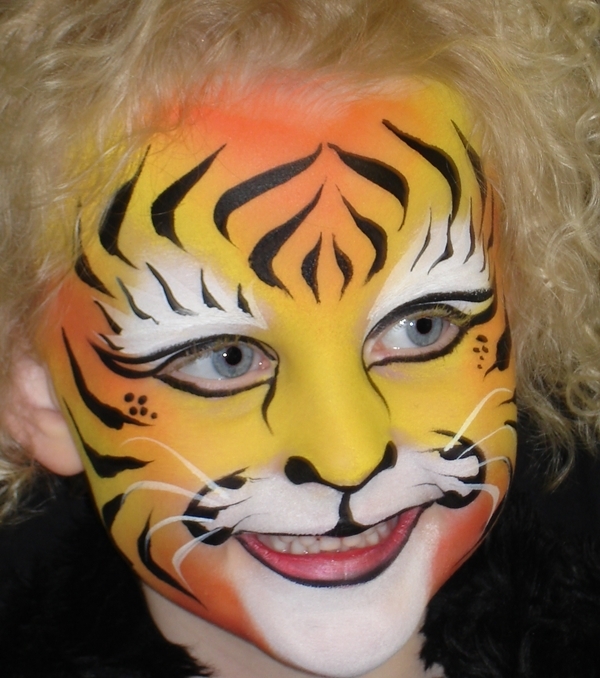 Use your neck to extend the design and fill every outline with a new color. 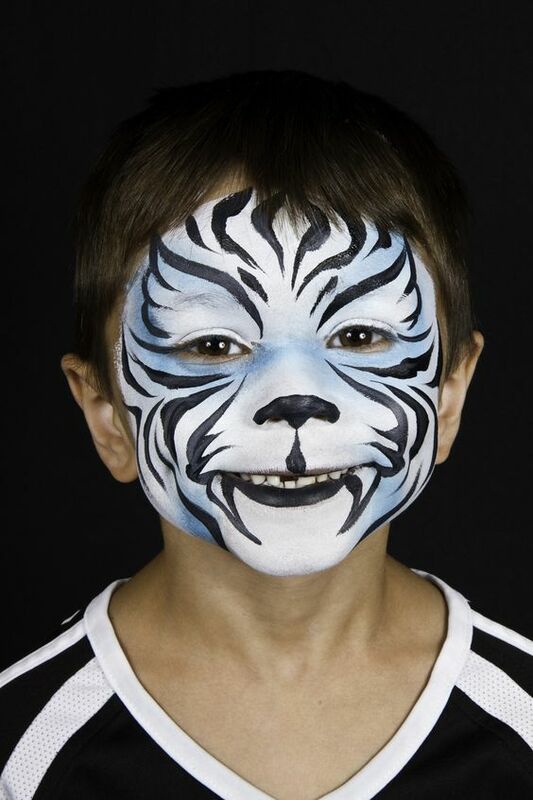 The color combination you use to paint your eyes can also be used to paint your neck to make it uniform. If you can paint your face why not your arm, too? 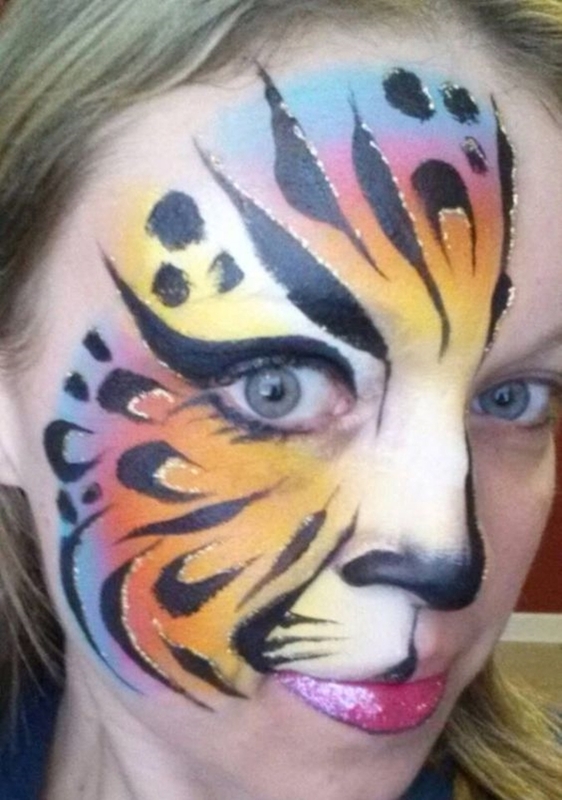 After you’re done with painting your face, do not put the brush and colors down. 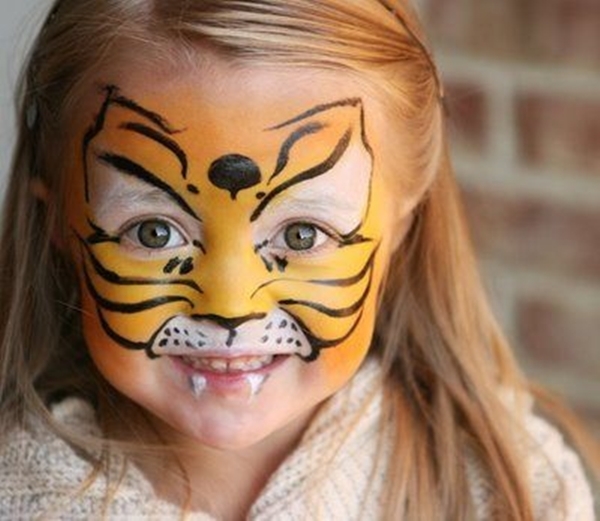 Get a matching painting of a cute tiger with leaves teardrops on your arm. 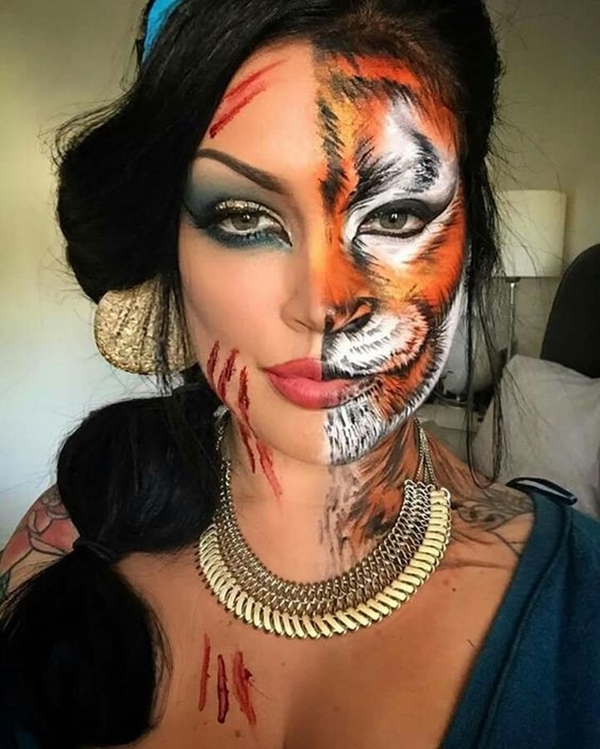 Or draw a forest on your neck and shoulder area to create an illusion by showing the tiger on your face headed towards its home. 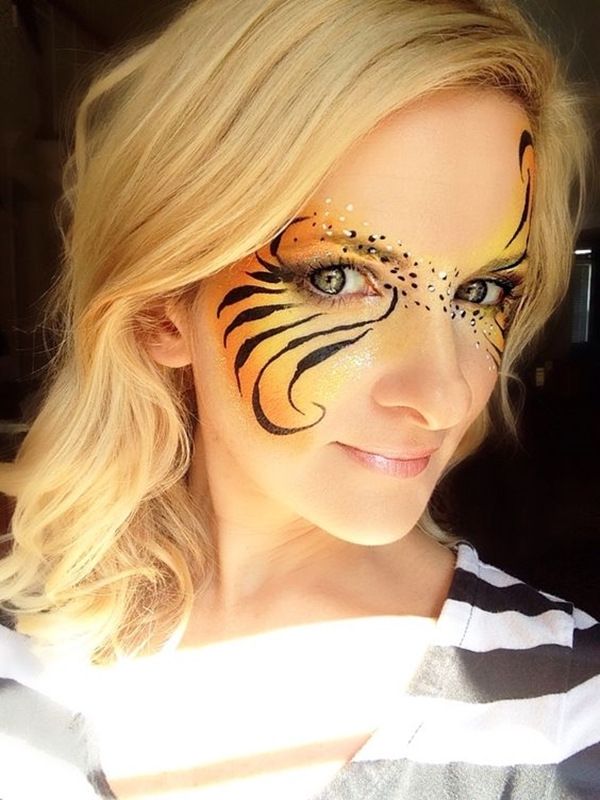 We can bet you are feeling inspired at the end of this article. 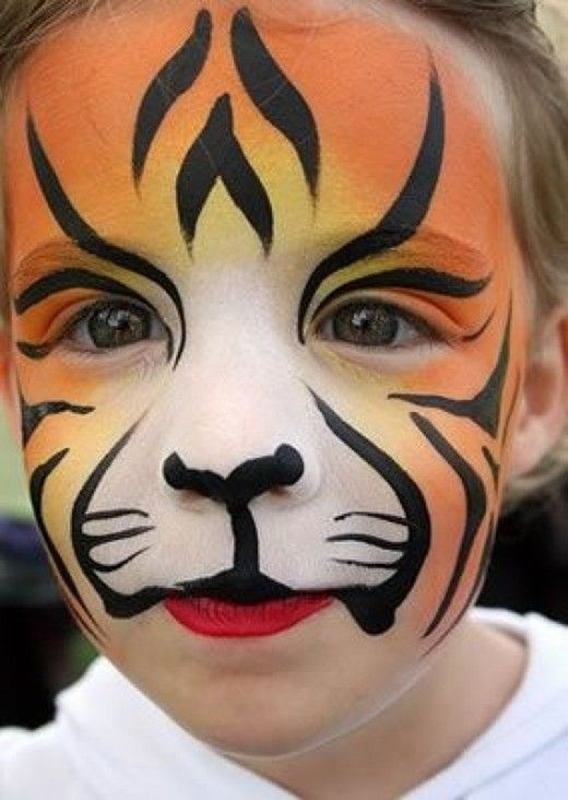 Don’t make excuses, you know you want to try these amazing tiger face paintings ideas. Don’t worry your mistakes can be easily washed off.